During his brother Joe's 56-game hitting streak, bandleader Les Brown immortalized the feat with a popular song. "Joltin' Joe DiMaggio" became a popular hit – get it? Who hits the ball and makes it go? 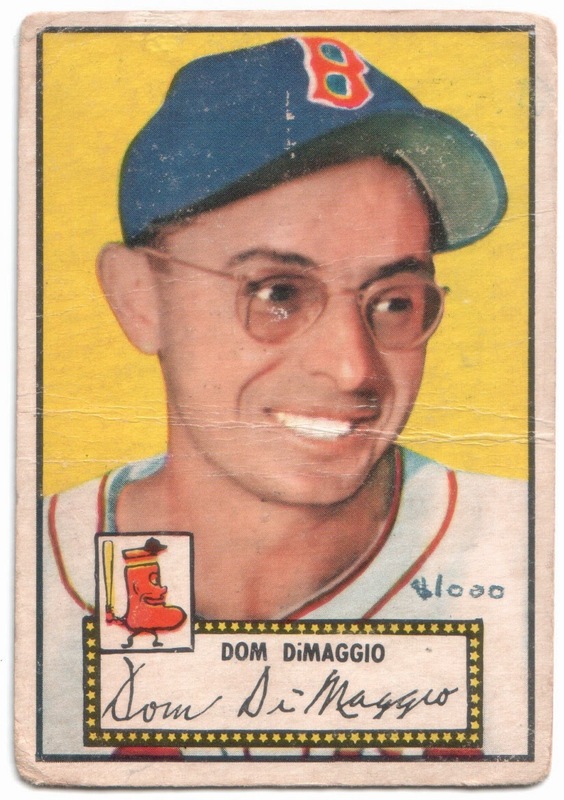 Dominic DiMaggio. Who runs the bases fast, not slow? Dominic DiMaggio. Who’s better than his brother Joe? Dominic DiMaggio. But when it comes to gettin’ dough, They give it all to brother Joe. It's good to know the Yankees-Red Sox rivalry was alive, and well, even in 1941. I've always loved this card, something about the glasses just makes me smile. There were two verses to the song. I'm looking for the other one.